As we enter the second week of 2017, we can't help but muse on the beautiful celebrations that we will witness in the upcoming year. What kind of love stories will they share, and what will they look like? Although the core of every wedding remains the same, shifting tastes and trends will make this year's weddings a bit different from the ones held last year. The way we see it, 2017 is all about exploration. Today's brides are more independent and willing to consider unusual options, which will lead to choices that reflect the couple's personality rather than safely follow traditions. 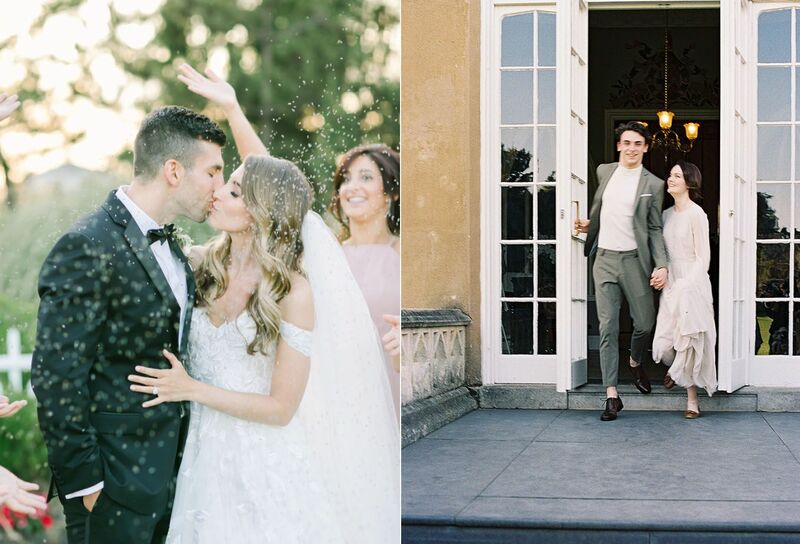 We've scoured many recent real celebrations and inspirations to find some extraordinary wedding elements that we predict will win your heart this year. 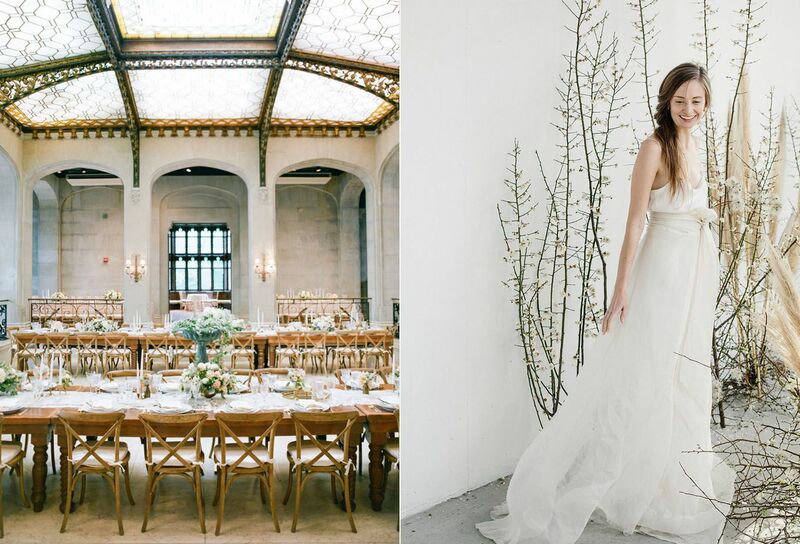 Take a look at the 10 upcoming wedding trends we've spotted below. Pantone released their color report for Spring 2017 a few months ago and the colors are simply marvelous. Inspired by nature, these colors are perfect for weddings and most can even be naturally found on flowers and greenery. Take some cues from the photos above and pair Pink Yarrow with Island Paradise or Kale for stunning results. 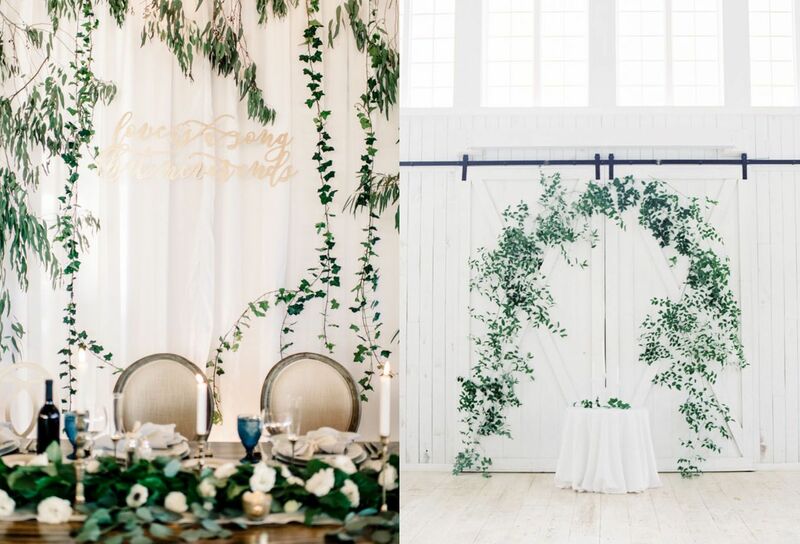 And as Greenery was crowned the 2017 color of the year, there will certainly be more weddings inspired by this refreshing hue. Even though Greenery might not seem like the typical wedding color, it's surprisingly easy to include this shade in your nuptials. Read all about it here! 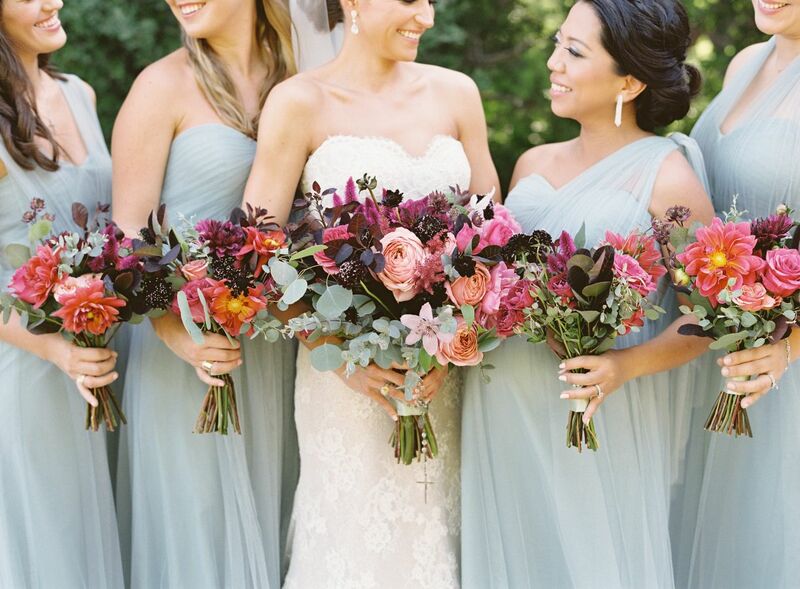 Aside from using Pantone colors, this year's brides are willing to go the extra mile to look for particular shades to suit their wedding palette. Classic white-on-white will remain popular as ever, but other color combinations will also emerge: neutral, vibrant, and we even dare say that black will make a comeback this year. In 2017, brides will think out of the box when it comes to wedding themes. 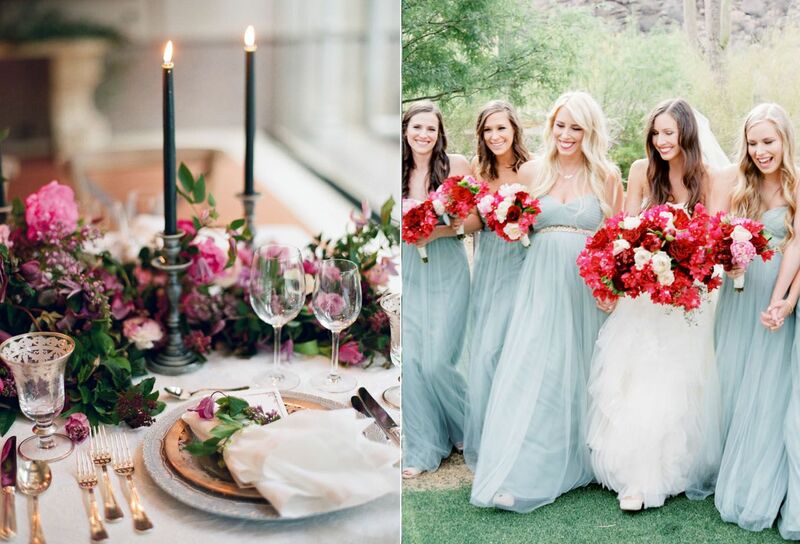 For example, a rustic wedding doesn't have to involve wooden barrels and burlap. 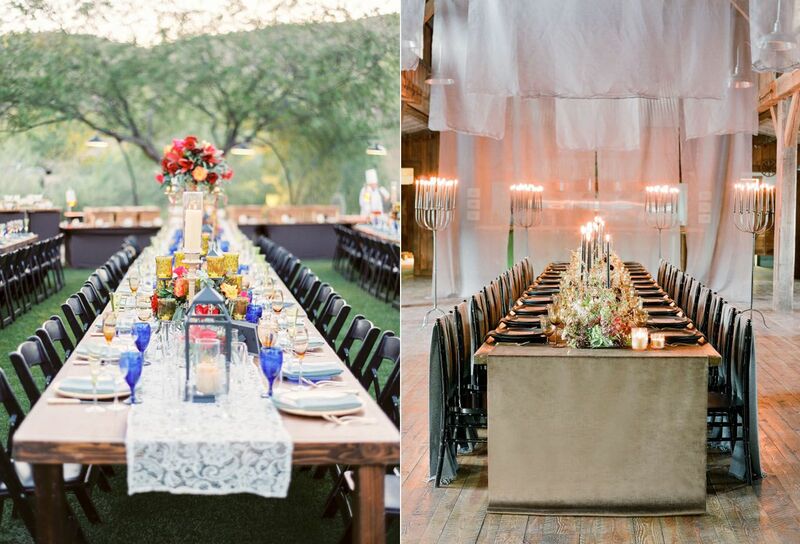 It's entirely possible to throw an elegant wedding with a rustic flair or a rustic wedding with a modern feel to it. If you like this idea, make sure to stay focused at all times and don't combine too many themes in one celebration. Forcing everything together can result in a messy wedding, so try to find common ground between several wedding themes that you like. Consult your wedding stylist or decorator if necessary. 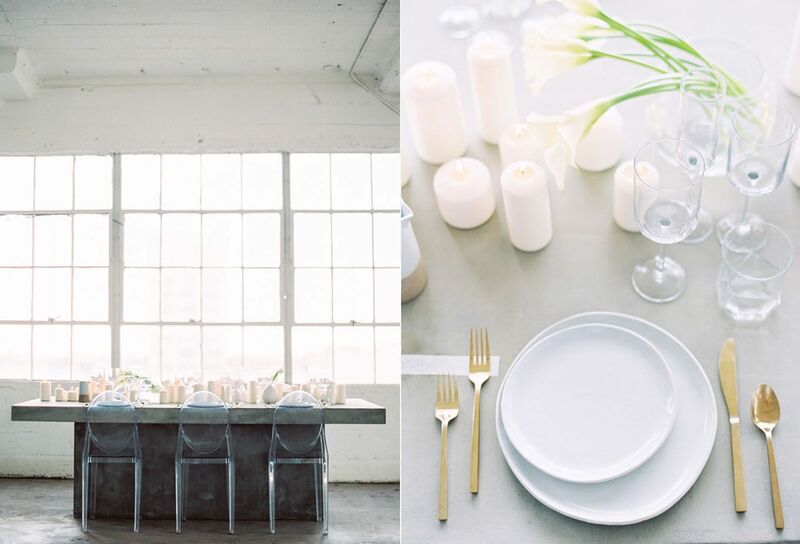 Another big trend to expect in 2017 is the rise of minimalist, modern weddings with clean aesthetics. Far from being boring or sparse, this kind of wedding gives room for brides to experiment with many different looks and ambiences. A simple space can instantly look glamorous with metallic elements, or alternatively more organic with flowers and greens. Aside from decorating essential spots like the wedding stage, tables, or ceremony area, couples will enchant guests with custom-made structural décor. A wedding installation can be made of acrylic, glass, mirrors, metal, flowers, anything you can think of. 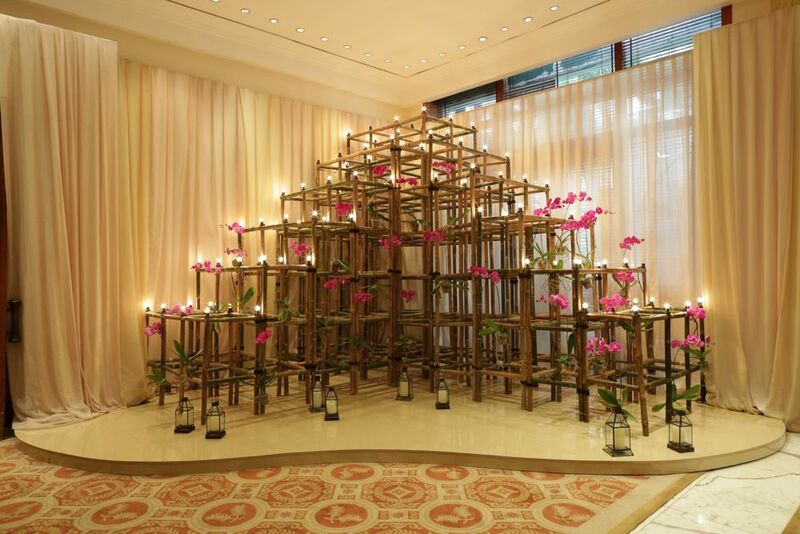 Pictured above is a bamboo installation from a Gorontalonese-Javanese wedding in Jakarta, inspired by a festive traditional festival held annually in the bride's hometown. 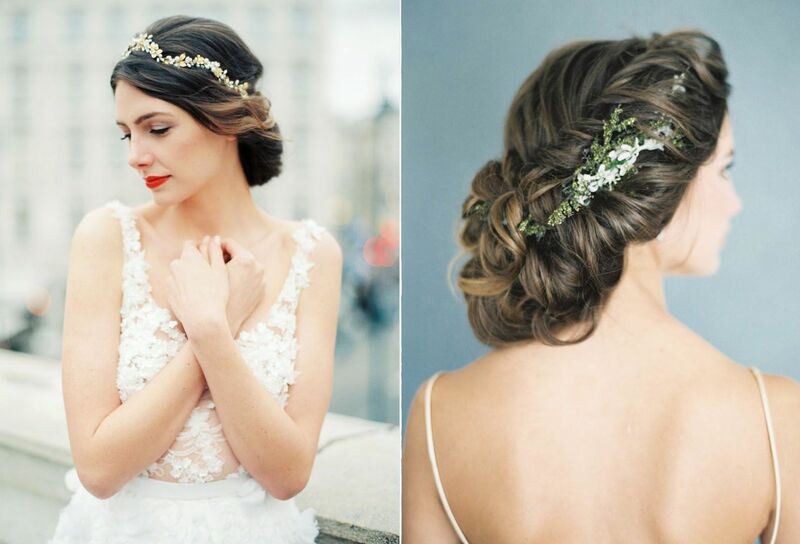 The days of playful bridal accessories such as flower crowns are over. These days, most brides aim for makeup and hairstyles that subtly exude elegance and sophistication. A messy bun topped with some flowers or a tiara with a delicate veil, there are so many ways to elevate a bride's look with finesse. Photo-journalistic wedding photography that focuses on the moment will reign supreme this year. Instead of opting for dramatic and carefully-posed portraits, more couples will seek natural photos with minimal posing, if any. They will also be more willing to hire artsy photographers to fill every frame with movement and emotions. Couples will continue to show their personality through the smallest wedding minutiae. From the table settings to the stationery, personalized wedding details are seemingly trivial yet can actually pull an entire wedding together. For her white wedding at Rumah Luwih in Bali, Florence added some reminders of the pet rabbit that sparked the romance between her and her eventual husband, Timothy. As you can see in the picture above, she cleverly inserted pictures of two little bunnies in her invitation suite and other elements for pay homage to her furry friend. 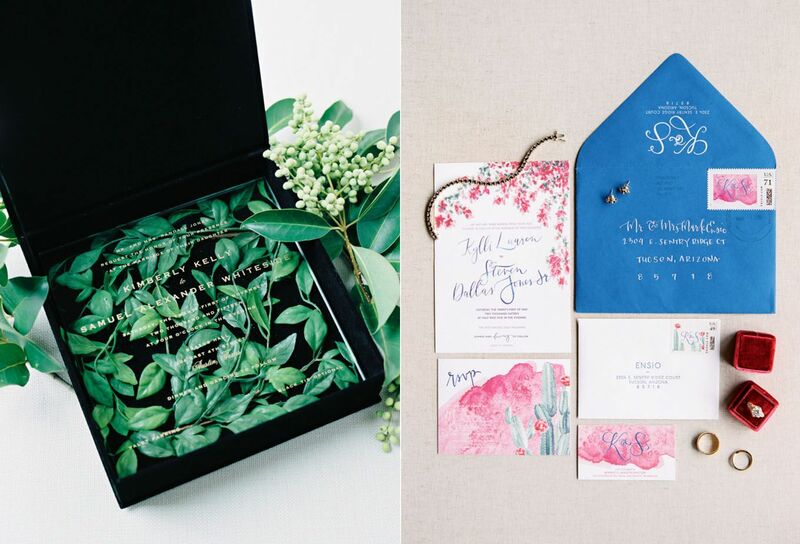 As wedding guest lists become shorter and shorter, the wedding invitation has become something a lot more meaningful than just a piece of paper. In fact, invitation designers have been experimenting with different media beyond paper, such as acrylic, metal, or textiles. Paper invitations have also become a lot more varied with different shapes, sizes, and colors. 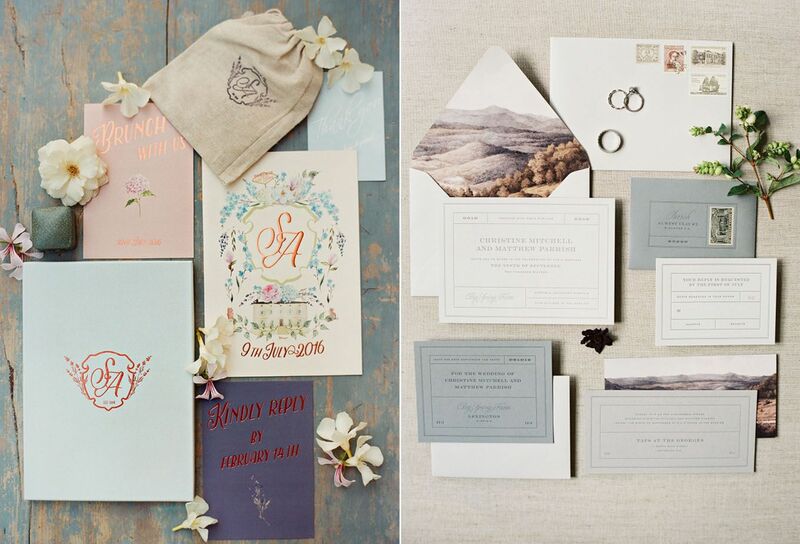 Hand-drawn calligraphy, photos as envelope liners, watercolor illustrations, gold foil, and custom monograms are only some of the many ways to enhance paper invites. Many couples have even asked professional graphic designers to create custom-made branding for their wedding. 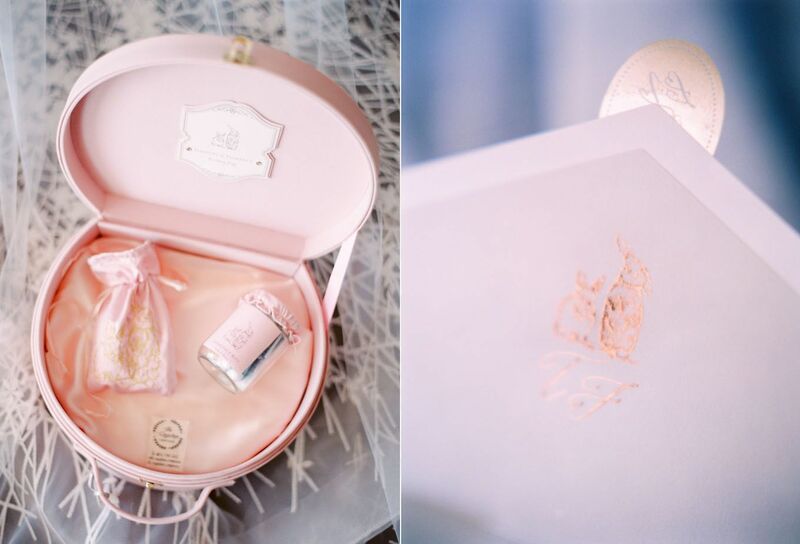 Another trend that we've noticed lately is sending out invites with wedding favors or gifts inside of them. Unsurprisingly, this kind of invitation needs to be a bit bigger in size to accommodate the wedding favor. Last but not least is the intimate destination wedding. We don't see this trend going away anytime soon. 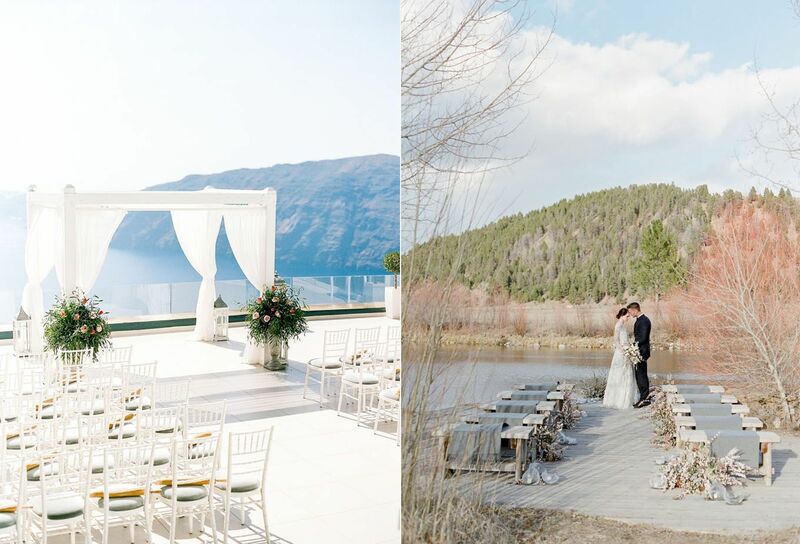 More couples have fallen in love with the idea of getting married at a beautiful location, witnessed by only their closest relatives and friends. 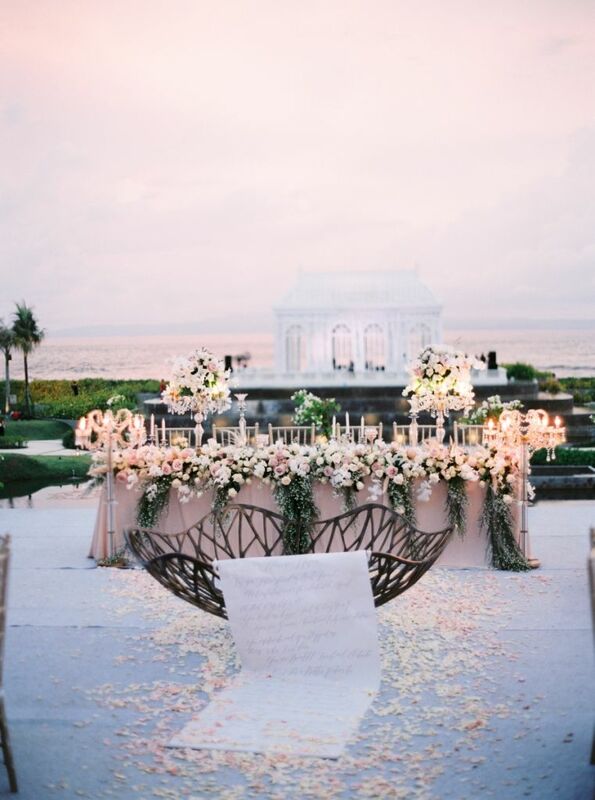 Last year, Bali was one of the most sought-after places for intimate weddings. This year, the options are wide open. Other big cities in Indonesia like Bogor, Yogyakarta, and Bandung are increasingly suitable for destination weddings. If you'd like to choose somewhere more exciting, head overseas to beautiful places like Tuscany, Phuket, or the ever-popular Santorini! There you have it, Bridestory's wedding trend forecast for 2017. Were you inspired, or did you think we missed any trends? Share your ideas in the comments section below and don't forget to share this article with other brides-to-be like yourself!